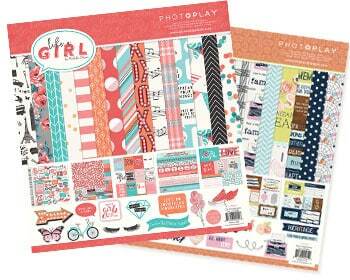 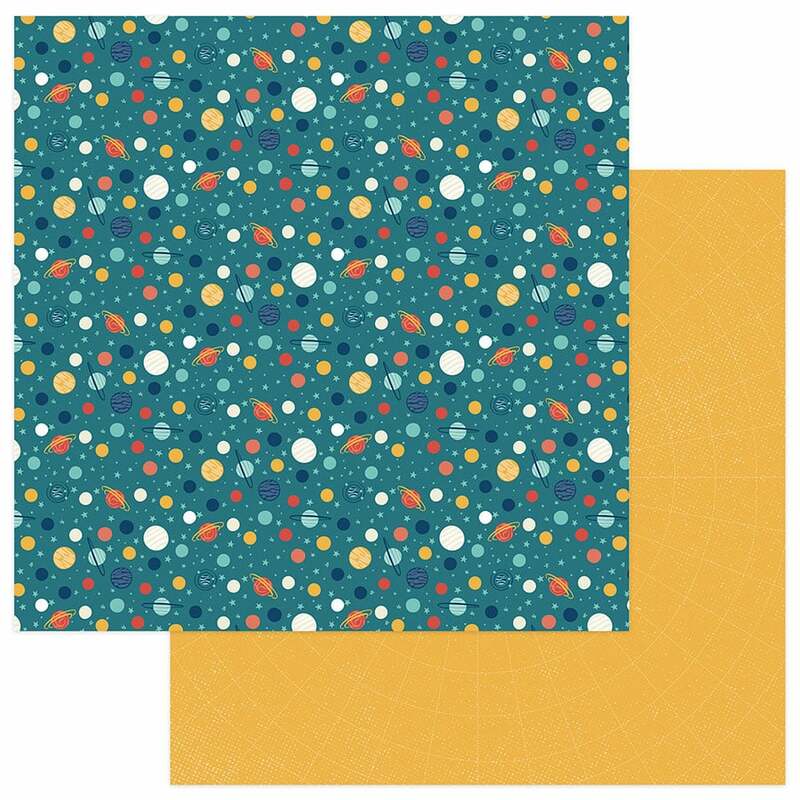 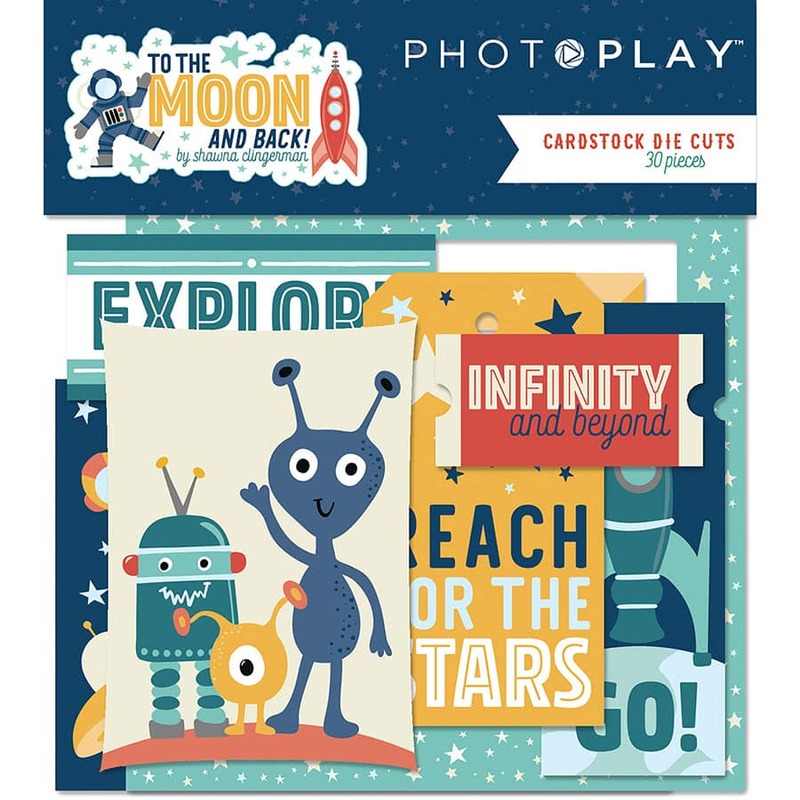 To The Moon & Back - Photo Play Paper Co.
Is the little boy (or girl!) 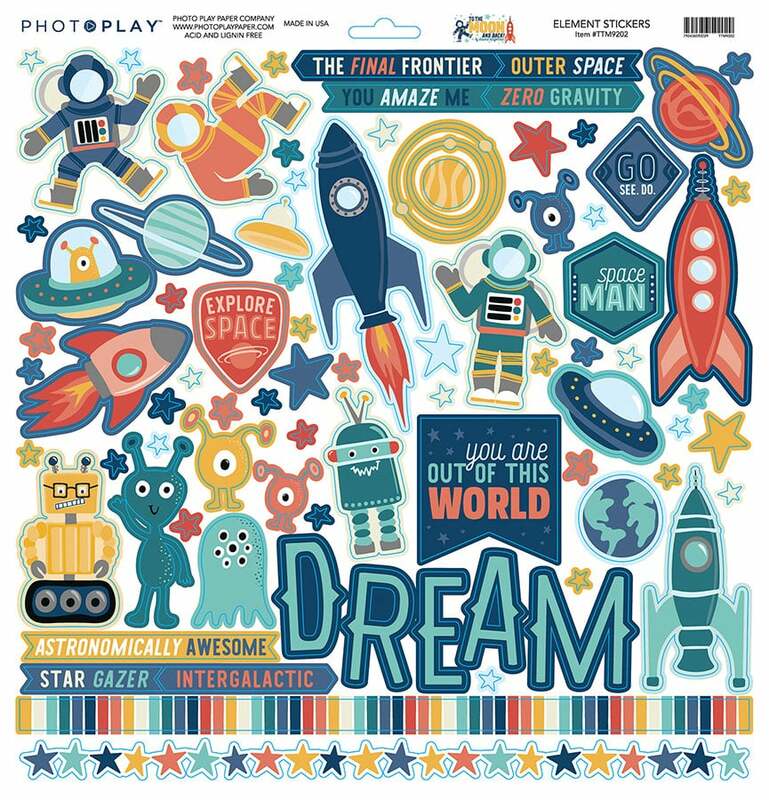 in your life a fan of outer space, dreaming of being an astronaut? 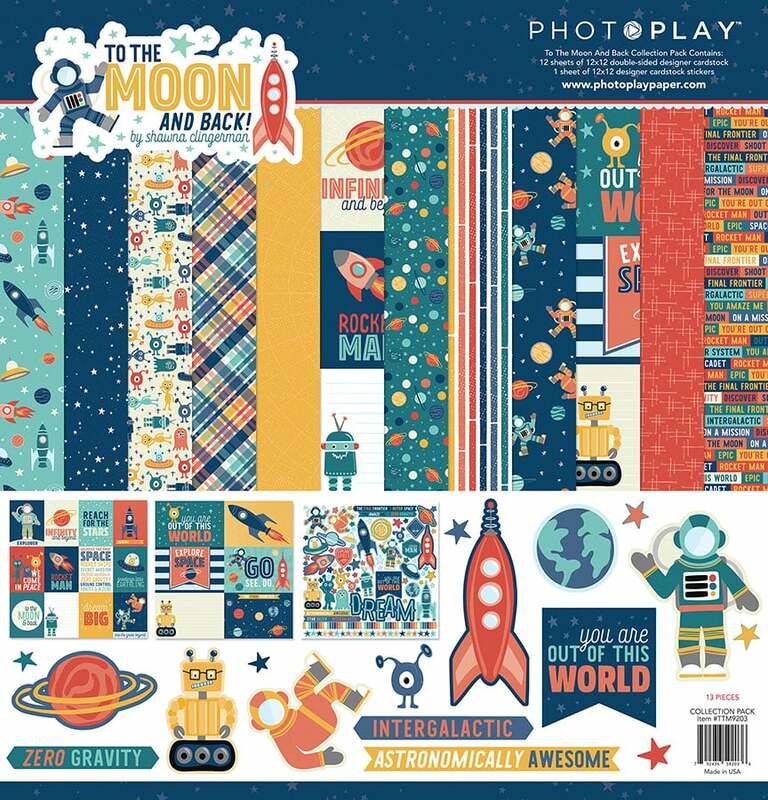 To The Moon And Back is for you! 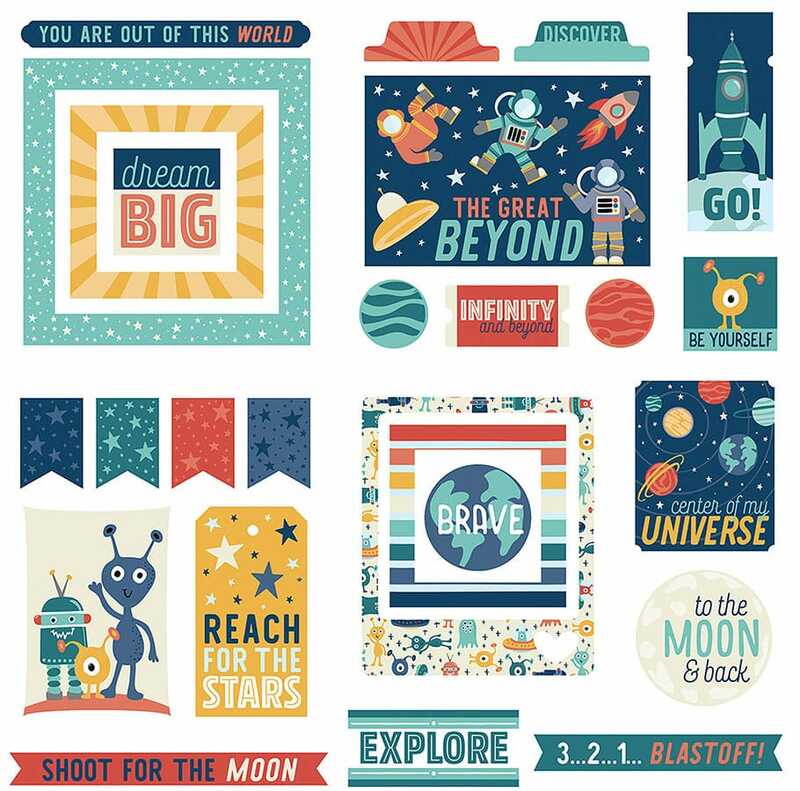 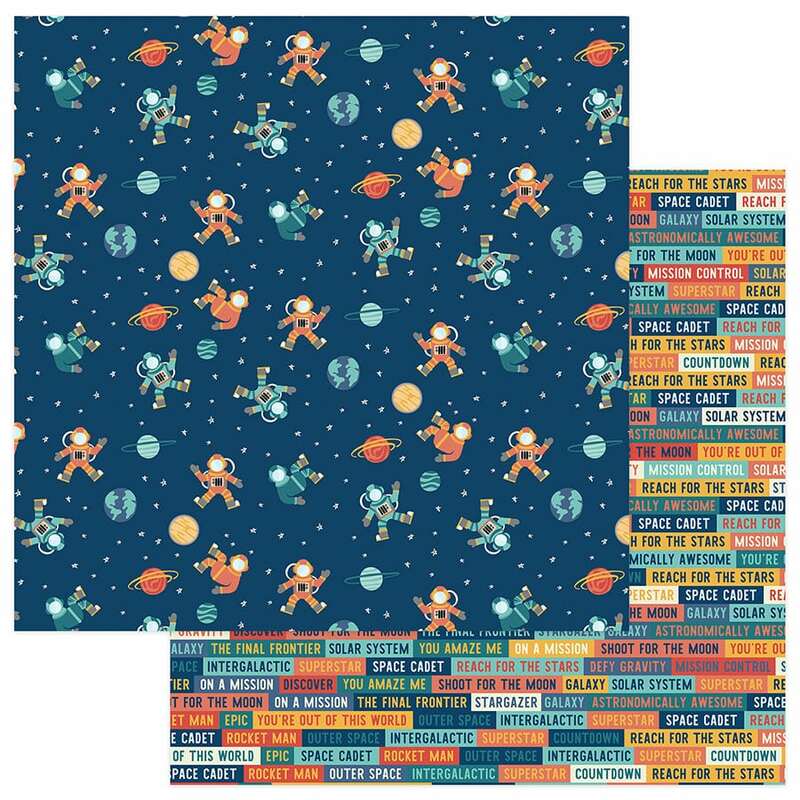 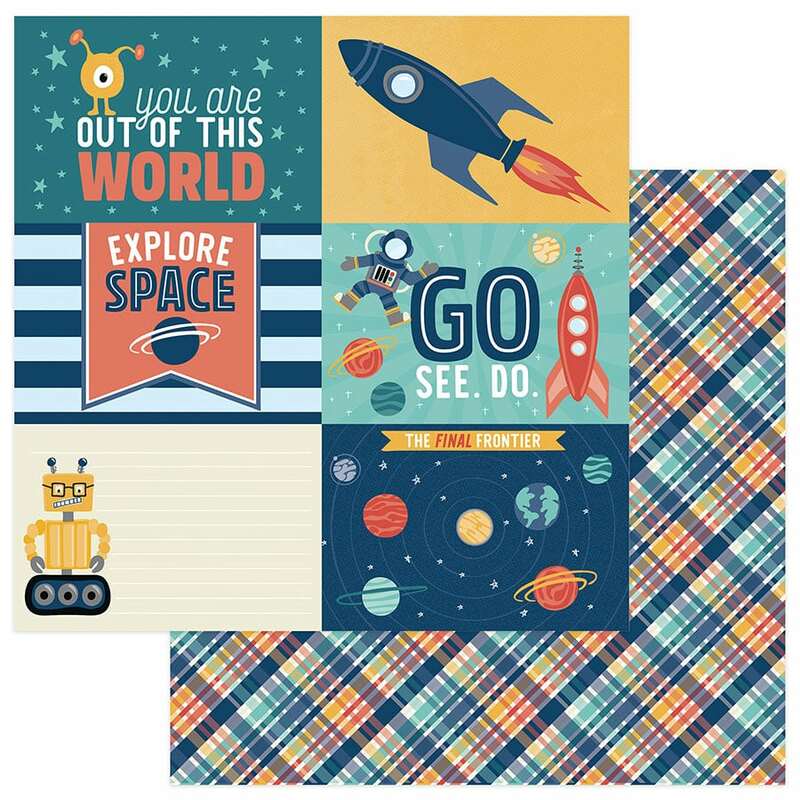 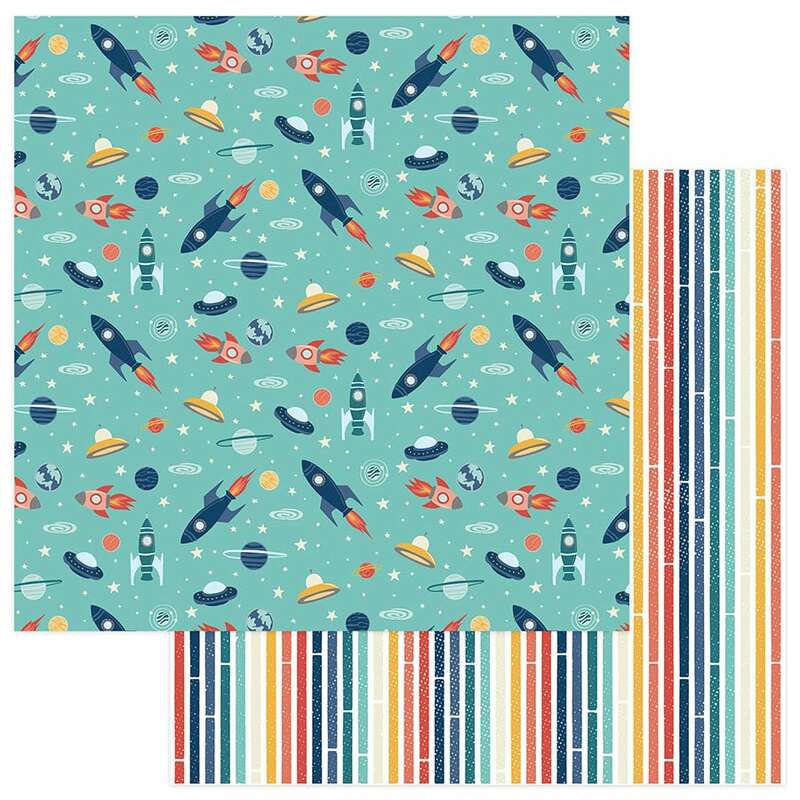 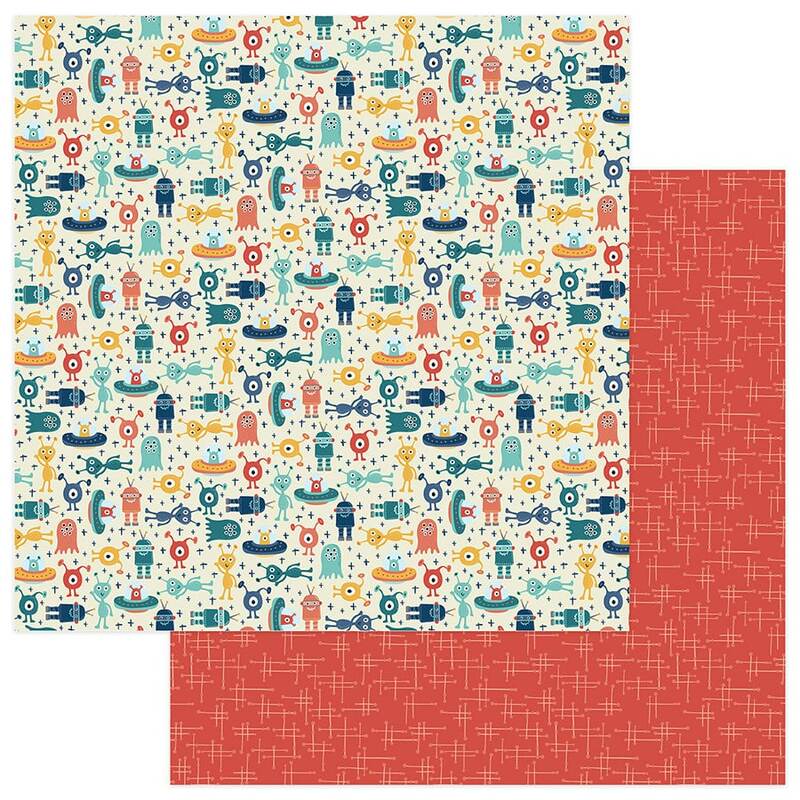 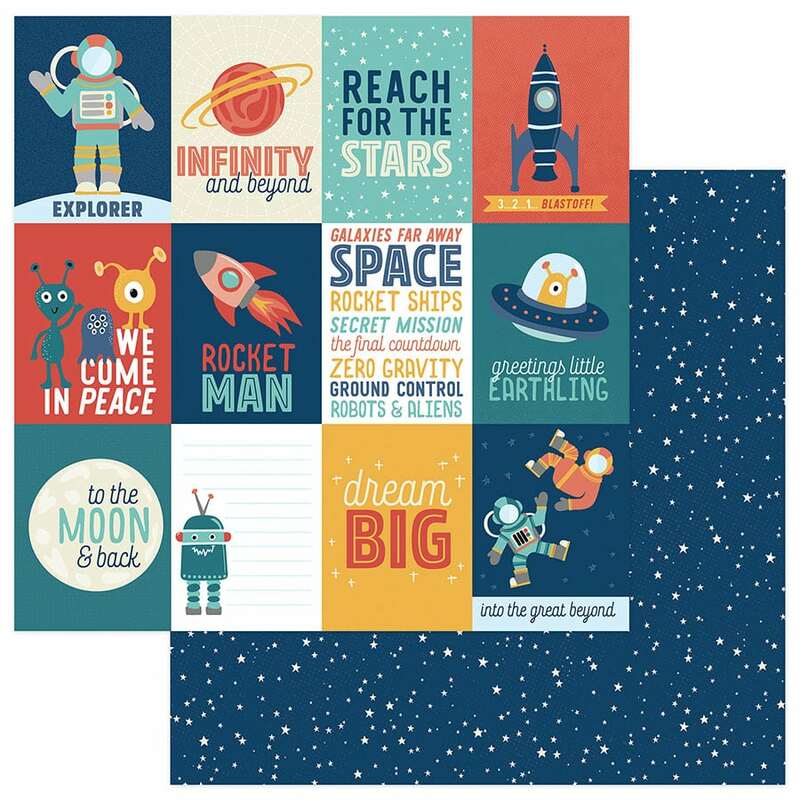 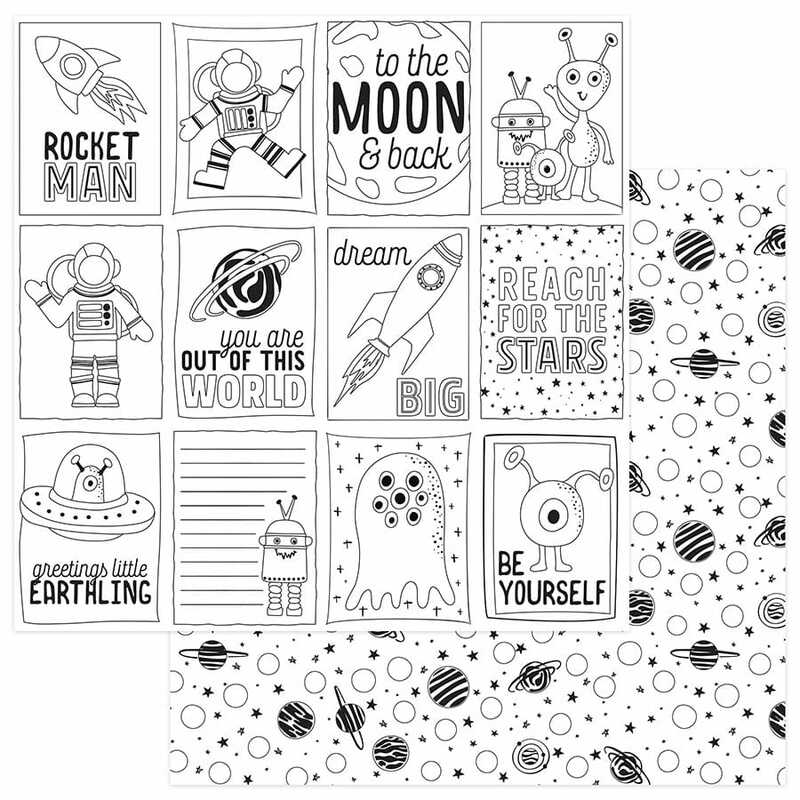 Filled with adorable aliens, space ships, planets and more, these papers and embellishments are perfect for the rocket man in your life.